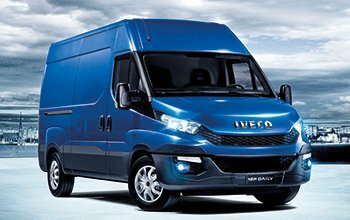 Store Van offers outfitting solutions for Iveco vans with flooring and panelling, interior lining for cargo area protection, roof racks and ladder racks and much more. “Too bad not to have what is needed at the right time and having to waste time or, even worse, turn down a customer request!” Individual complaints aside, this is statistically the most recurring comment from small-sized businesses and professionals who contact us after having taken a look at Store Van outfitting options for Iveco commercial vehicles. Turning an Iveco van into a mobile workshop is a must for entrepreneurs who wish to boost their productivity. If the vehicle is large enough, the potential solutions applicable to the cargo area are true functionality boosters. Contact us for no-strings advice on how to turn your van into a four-wheel workshop from which to supply assistance, maintenance and repairs using the best available resources and making the most of the size of the vehicle.